For the wire nails, everyone is familiar. We can see it whenever and wherever. But do you know how to produce the wire nails? And how many spare parts will be needed to produce the wire nails? Today we will introduce the spare parts functions in the process of making wire nails. The nail cutter is to cut wire to make the nail point. The nail mould is to make wire nail in the different diameter. The pin punch is to punch the wire to make the head of wire nails. The process of making wire nails is divided into four steps: the first step is to draw the wire to exact diameter needed for making different nail size through wire drawing dies, the second step is to feed the drawn low carbon Q195 wire into the nail making machine and make nails, the third step is to polish the finished nails to make them bright and black, the fifth step is to pack them. 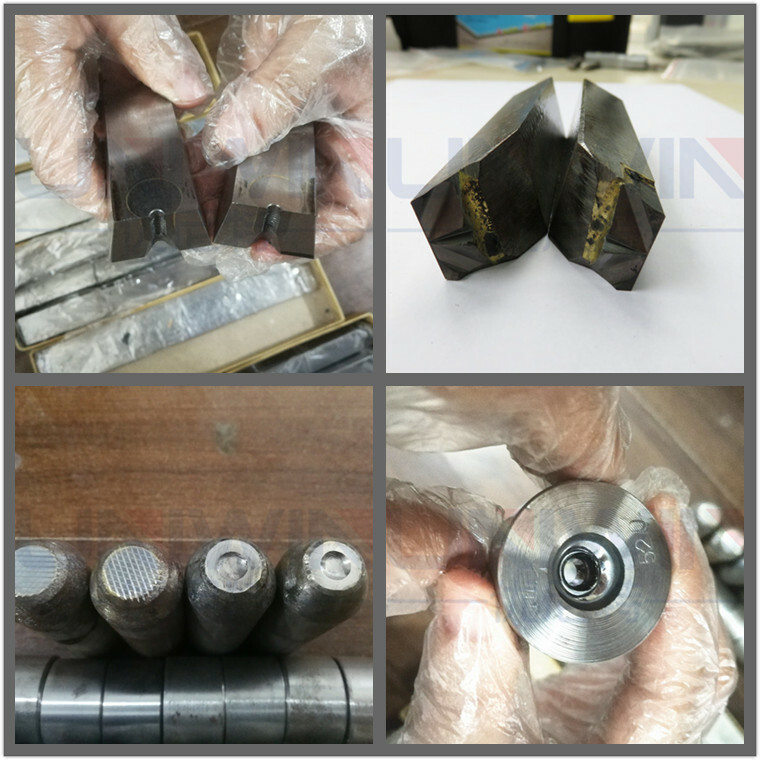 During the production of wire nails, we will use drawing dies, nail cutter, nail mould, pin punch and other spare parts. 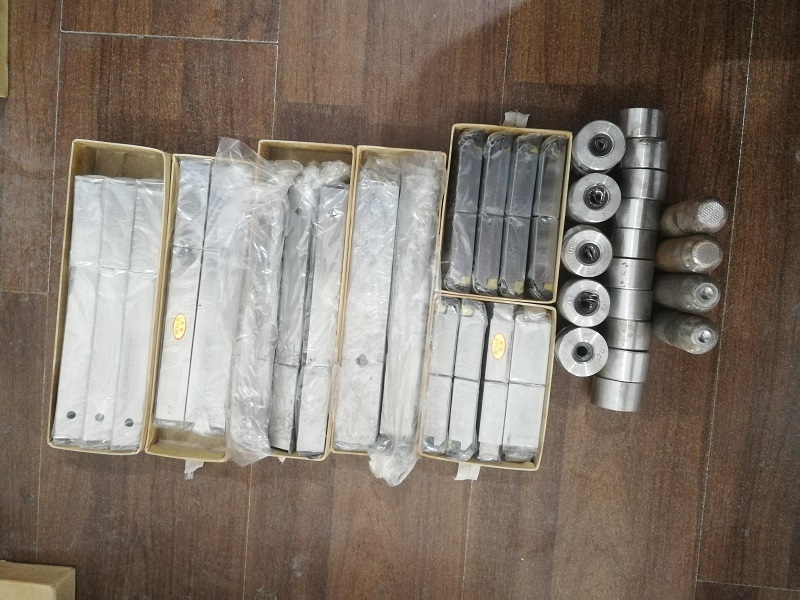 When customer buy the nail making machine, we will match one year quantity of spare parts. The drawing dies is for diameter of different size nails. The drawing powder is lubricant between the drawing dies and the wire. 1,) Q: The wires are easy to break while drawing them. A: If the wire diameter is reduced too much in one time, the wire will be easy to break. for example ,the wire should be drawn like this: from 6.5mm -5.8mm – 5.0mm -4.5mm-4.0mm -3.5mm-3.2mm , if you draw from 6.5mm -5.5mm or smaller diameter, then the wire will break easily. 2,) Q: The drawing dies is easy to expand and draws only 1-2 tons. A: Check the feeding direction is right or not. 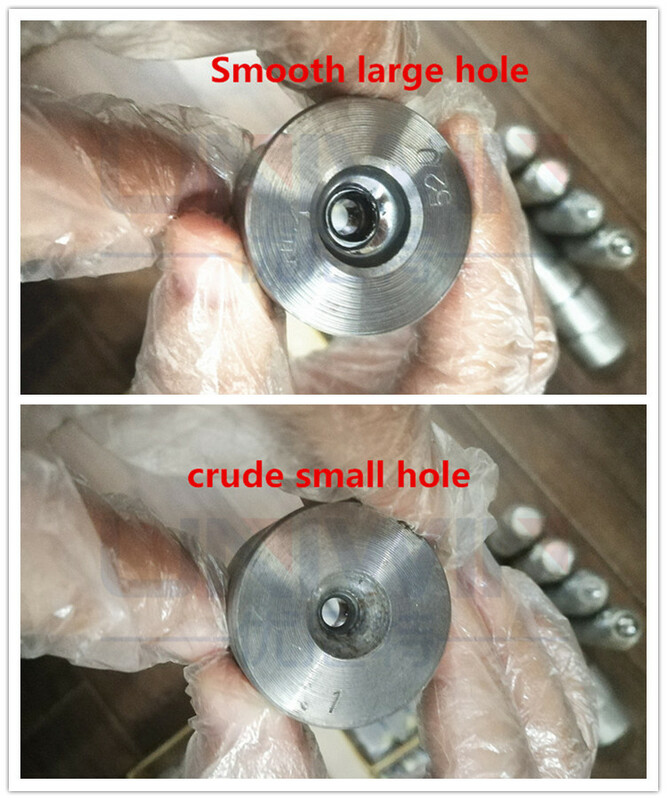 It is a must to feed the wire through the smooth large hole, not the crude small hole. 3,) Q: The drawn wire is white, not black and shiny. A: This is because wire drawing powder not well coated on wire surface. 1, Check if there is enough wire drawing powder in the die box. 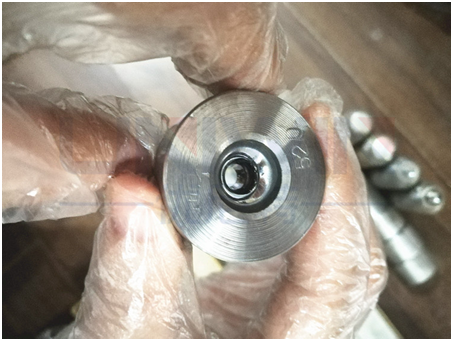 2, Check if the oxide skin remove device is working properly or not, you can weld some points in the rollers to make the oxide skin better removed. 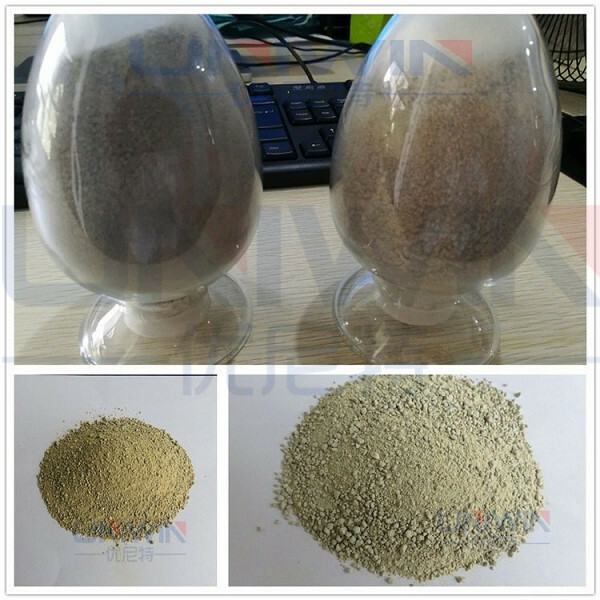 3, Check the wire drawing powder quality or the wire quality. Customers can also mix the old drawing powder into new one, this way it will have better drawing result. If you are interested in our nail making machines and spare parts, pls feel free to contact us. Looking forward to your inquiry.